Audiovisual localisation brings up more complexities than standard document translation, as there are many variations to consider: translation of the script, cultural nuances, voiceover artist talent, matching the speed of the target language speech to the source — the list goes on, and if any of these components don’t go according to plan, it impacts the entire project. We live in an increasingly visual world, reliant on multimedia – YouTube is the second most popular website in the world. Our clients use video and audio to connect with their employees, partners and potential clients, and as such, the demand for high-quality audiovisual localisation grows. In such a subjective and creative industry, technology in the field continues to develop, but there are still challenges to overcome, tongue twisters to untangle and mispronunciations to correct. This article is written by our very own Solutions Architect – Kamil Juljanski and published in MultiLingual magazine. In this article, Kamil talks about how we can overcome challenges in audiovisual projects and produce that perfect audiovisual localization through the use of technology, expertise and talent. If you interested in reading this article, you can download it from the link below. 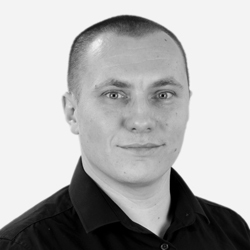 Kamil Juljanski is a Solutions Architect at Capita TI. His main role is to assist the business development and project management teams and use technology to find the perfect solution for their needs.